28.02.2015. Leicester, England. Aviva Premiership. Leicester Tigers versus Sale Sharks. 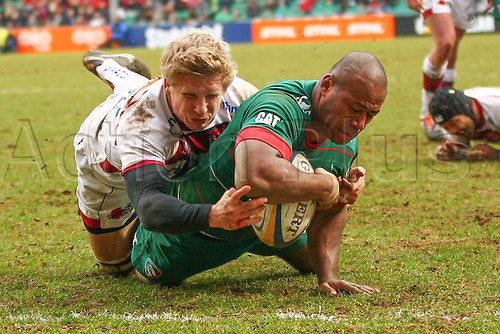 Seremaia Bai (Leicester Tigers) scores in the final minutes of the match to seal the victory.